Today’s LPNs are on the front lines of health care. They work under the supervision of an RN or physician, making a difference in patients’ lives and leading change in every aspect of the field. The Montana Board of Nursing’s scope of practice for LPNs prohibits patient assessments, but they may perform duties such as measuring vital signs and reporting the data to doctors and nurses. They also assist with wound care, catheter care, sample collection, and supervise unlicensed staff. In general, LPNs must perform tasks within the legal limitations. Therefore, they must know and understand the scope of practice and legal limitations. Many LPNs enroll in accelerated degree programs to assume greater responsibilities as Registered Nurses. Practical nursing programs combine classroom and clinical instruction to prepare graduates for a rewarding career in nursing. Committed faculty with a passion for teaching prepare and mentor the future generation of nurses and play a pivotal role in strengthening the nursing workforce. Each of Montana’s Board approved training providers use various teaching methods to bring life to the standard curriculum designed to prepare graduates for service in the diverse and ever-changing health care environment. Apart from following a guided curriculum, students will identify their learning needs, build strengths, and overcome limitations throughout the entire process. In the classroom, instructors will cover topics, such as nursing concepts, fundamentals of nursing, pharmacology, medical-surgical nursing, maternity-newborn nursing, the transition to practice, and intravenous therapy skills. The supervised clinical covers much of the same topics from a practical perspective. The choice of school determines, in part, the success on the NCLEX. Therefore, it is vital to review the NCLEX pass rate for your school of choice. If possible, assess the pass-rate for a few years to get an accurate picture of the school’s success rate. There are just six approved training programs in Montana, so enrollment is a competitive process. Attend the orientation session and pay attention to the enrollment process and requirements, and meet it as closely as you can. Requirements for entry will depend on your score on the admissions exam and submission of your high school diploma or GED, criminal background clearance, TB exam, immunization record, AHA CPR card, liability insurance, and completion of prerequisite courses. Duration and Cost of Training: Nursing education programs are 10 to 12 months for full-time students. You’ll need at least 18 months to complete the program part-time. The average cost of training in Montana is $10,500 for a 10-month program. The advertised cost is for full-time tuition only and does not include expenses for textbooks, uniform, medical equipment, administrative fees, and other supplies. The nursing education program provides the foundation for becoming a nurse, but it is your success on the NCLEX that allows you to practice as an LPN. There are two main categories of questions on the qualifying exam: memorization and critical thinking questions. The nursing education program will develop your critical thinking skills, especially during the clinical rotation. Therefore, your focus should be on memorization for success on the exam. The NCLEX exam uses Computerized Adaptive Testing, which alters the difficulty of the test based on your responses. You’ll have to answer at least 75 questions – this number will determine that your skills are either well above or well below what is required to pass the exam. Not everyone passes the test with the 75-question minimum, so you may have to answer more questions for a definite pass/fail. The maximum number of questions is 265, which can take up to five hours. Before you can take the exam, you must register with Pearson Vue and pay the $200 registration fee. Submit your application for licensure with the Montana Board of Nursing at the same time. The MBON will determine your eligibility to take the exam, and Pearson Vue will mail the Authorization to Test letter if the Board approves. Only graduates of approved nursing education programs are eligible to take the exam. The ATT expires in 90 days, so you must schedule and take the exam within that timeframe. If you miss the deadline, you must submit new applications to the Board and Pearson Vue. Review the Candidate Bulletin for critical information on registering for the exam and scheduling the test date. The Board will make provision for special accommodations for testing upon written request. 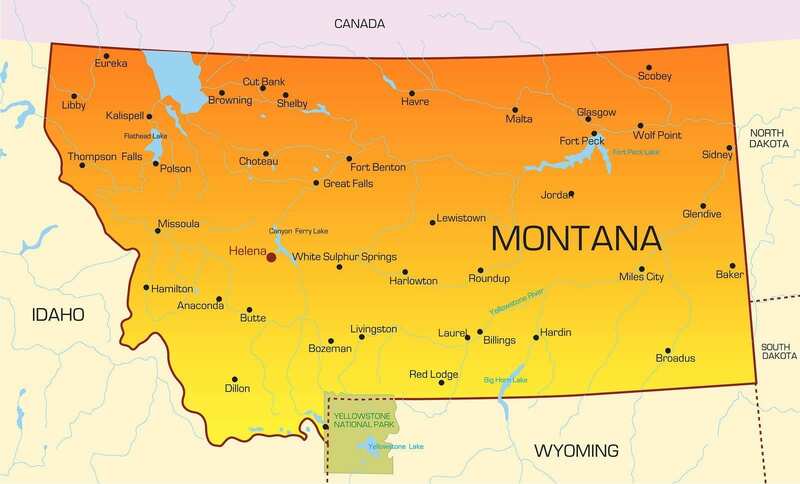 There are two testing centers in Montana – in Billings and Helena. However, you can take the test in any other state for licensure in Montana. Testing centers are open 6 days a week and up to 15 hours a day based on demand. You can schedule a retest after 45 days if you fail the exam. The MBON will approve your request for licensure if you pass the exam and meet the other requirements for licensure in Montana. Montana Board of Nursing’s regulations require all nursing graduates to obtain licensure and/or a temporary permit before practicing. Applicants for licensure must complete all educational requirements of a Board-approved nursing education program and ensure that the Board receives the official transcript, indicating the type of degree awarded and graduation date. The educational institution should send transcripts directly to the Montana Board of Nursing at students’ requests. Graduates of foreign programs must obtain an official evaluation report from the CGFNS or IERF and successfully complete an English proficiency exam recognized by CGFNS. Applicants must register with Pearson Vue online or over the phone (866) 496-2539. The Board will authorize the candidate’s request to take the exam after reviewing a completed application for licensure. A temporary permit is available upon request. To qualify for a non-renewable 90-day temporary permit, you must submit a completed MBON examination application, submit a temporary permit application, register with Pearson Vue and pay the temporary permit fee. Not all applicants are eligible for a temporary permit. The 90-day permit will automatically expire if the permit-holder fails the NCLEX – even if there’s time remaining on the permit. Complete and sign the application for licensure by exam. Include your social security number and a valid email address – email is the Board’s primary mode of communication. Complete the application for a temporary permit – optional. Remit the non-refundable registration fee of $100 using a cashier’s check or money order, payable to the Montana Board of Nursing. Include an additional $25 if applying for the temporary permit. Request a copy of your official transcript from the nursing education program. The registrar should send the transcript directly to the MBON and include the degree earned and date conferred. Graduates of foreign programs should obtain an official evaluation report sent directly from CGFNS or IEFR to the MBON, and a report indicating success on an English proficiency exam. Respond to the criminal history and disciplinary action questions and provide supporting documents if you answer “yes” to any of the questions. Register for the NCLEX with Pearson Vue. Routine applications will be processed within 10 days once the Board receives all the required documents. The Board will notify candidates of any deficiencies in the application or return ineligible or incomplete applications. Non-routine applications may require submission of additional documents and an interview with a member of the Board – in-person or over the phone. There will be delays in processing a non-routine application. Incomplete applications will expire 12 months from the date received by the Board. Applicants can access their official license status using the Licensee Lookup on the Board’s website. You may not practice nursing in Montana until you receive confirmation of an active Montana License. If you have a nursing license in another state, you may apply for licensure by endorsement to practice nursing in Montana. Following are the steps to apply for licensure by endorsement. Complete and sign the application for licensure by endorsement. Include your social security number and a valid email address – email is the Board’s primary mode of communication. Submit the application for a temporary permit – optional. Enclose the non-refundable credentialing fee of $200 using a cashier’s check or money order payable to the Montana Board of Nursing. Include an additional $25 if applying for the temporary permit. Graduates of foreign programs should obtain an official evaluation report sent directly from CGFNS or IEFR to the MBON and a report indicating success on an English proficiency exam. Verify your license by sending a request to the licensing agency in your original state of licensure. Submit details for all professional licenses held up to two years prior to your application for endorsement in Montana. Use the License Verification form (completed and sent directly from the licensing agency to the MBON) if the state does not participate in the Nursys database. An incomplete application will remain open for 12 months from the date of receipt. The Board will process the application within 10 business days following receipt of the application, fee, and all accompanying documents. You can verify the status of your license using the Licensee Lookup on the Board’s website. You may not practice nursing in Montana until you receive confirmation of an active Montana License. LPN licenses renew December 31st of even-numbered years. The Board mails renewal notices 45 days prior to the expiration date to your address on record. It is important to maintain accurate records to receive notices from the Board. The Change of Address form is available on the MBON website under the Forms tab. A renewal application postmarked or submitted online at December 31st will be considered late and subject to a late penalty of $100 for Active Status or $50 for Inactive Status. Complete the renewal application or submit your request to renew online. Submit a check or money order in the amount of $100 for Active or $50 for Inactive licensure. Checks/money orders should be payable to the Montana Board of Nursing. Answer the legal/disciplinary action disclaimer and attach a copy of the document that initiated each action and all final orders. Sign and date the application and return to the Board before the deadline. All LPNS must complete 24 contact hours of continuing education during each renewal cycle. You do not need to submit evidence of your continuing education. However, you should maintain all documents for a minimum of two years as the Board performs random audits. 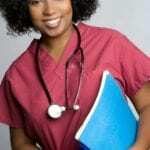 Licensed practical nurses play an integral role in the medical community. According to BLS data, employment for LPNs will grow by 18% over the next decade. However, there will be a dramatic shift in the work environment as the majority of new positions arise in home health care services and community care facilities instead of the traditional nursing homes and private hospitals. The shift in work environment stems from the anticipated rise in health care needs for aging baby boomers who are entering the twilight years. The projections should guide newcomers as to the type of skills they should develop to work in the places with the greatest needs. The growth in home health care does not eliminate the possibility of working in hospitals. Escalating healthcare costs could prompt budget cuts, which could potentially lead to more employment for LPNs at community hospitals. New graduates work primarily in emergency rooms, in the pediatric department, and on medical and psychiatric wards. LPNs with specialized training may work in NICU and cardiac care, and also supervise nursing assistants and orderlies. The salary depends on training, experience, and place of employment. LPNs who work in hospitals and specialized environment, obviously, earn more than those working in long-term care and home health care settings. According to the BLS, Montana’s LPNs earned a mean annual wage of $38,760 in 2014. Since no one hires LPNs anymore I would not advise anyone to stop at LPN. RN with an associates are having issues also. The hospitals in the area requiring bachelor’s. That’s not true at all. Geriatrics always hired lpn. So do the clinics. What if I graduated in 1999? I am a graduate practical nurse….can I still take the nclex now??? Looking for a Job as a PA in Helena, MT. Private Message me. There are those certain places that still hire LPN’s …. Been LPN for 30 years. Great career but I sure wouldn’t waste my time now! Go at least for 2 year RN !! LPNs are being replaced and RN program isn’t that much longer plus RN wages are higher! Hey, why is there a huge lake over Glacier National Park? I noticed that too, really weird. Long term facilities are always looking nurses/LPN. I’ve been an LPN at my facility for 39 years and we are always looking for LPN’s. I know the hospitals don’t hire.. I say keep on going it’s just another year.